Welcome to The Dollar Box, where I review single issues or short runs of comics where the cover price is a dollar or less. I already extolled the virtues of Strange Tales while reviewing the classic Stan Lee/Steve Ditko run of Doctor Strange, but that literally told only half the story. Strange Tales was a two-character book in those days, and it was a happy problem to have when the Doctor Strange backup feature outshined the headlining Human Torch. Rather than promote their Sorcerer Supreme to top billing, Marvel moved to bolster the book by introducing Nick Fury, Agent of S.H.I.E.L.D., as the lead feature in Strange Tales #135. Marvel was never one to miss a trend, and with Bondmania stirring up superspy excitement around the world, it was only natural that The House of Ideas come up with their own secret agent man. To lead their answer to U.N.C.L.E., Marvel recruited Sgt. Nick Fury (late of the Howling Commandos), promoted him to Colonel, and dropped him in the deep end of running the Supreme Headquarters, International Espionage, Law-enforcement Division. One of the things that makes this story sing is its brevity. Checking in at a taut twelve pages, there’s no room for exposition — like the best James Bond movies, the action is fast-paced and a little weird, racing from one exciting set piece to another before the audience can register how unlikely everything is. 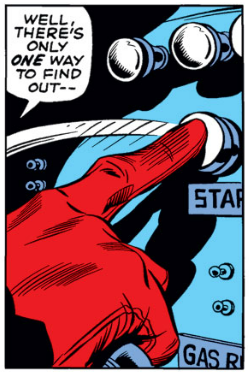 In “The Man For The Job”, a bewildered Nick Fury doesn’t have time to extinguish his stogie before he’s stripped down to his skivvies and installed in a Life Model Decoy Master Mold, on a timetable so tight that Fury’s artificial body doubles start to get knocked off by the bad guys before Fury is even informed that he’s been mechanically cloned! One page later, and Fury is getting napalmed in his Porsche; a page after that and the Porsche has folded up her wheels and taken off into the sky. No sooner has HYDRA completed their pajama party than we are back with Fury in the secret base of S.H.I.E.L.D., where Nick tries to resist getting dragooned into running the operation, claiming he’s still a sergeant at heart, and way out of his league… until his battle-honed instincts detect a hidden HYDRA bomb, which Fury throws out the window of the headquarters, sparking one of the greatest reveals in Marvel Comics history. So there you go… in twelve pages, Stan Lee and (especially) Jack Kirby blow our minds at least five times, create the S.H.I.E.L.D. Helicarrier, give birth to not one but TWO super-secret spy organizations, and introduce a character that half a century later is still prowling the Marvel Universe, now a big-screen movie hero played by Samuel L. Jackson. 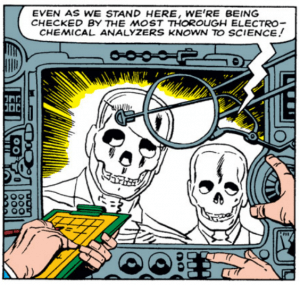 And King Kirby pre-imagines the Transport Safety Administration, too! Not a bad day at the office. And a great single-issue story! The cruel irony of The Dollar Box is that you will never find these issues in a real “dollar box,” provided such a thing even exists any more. Nope, these classics will cost you a lot more than a buck (and if you do find one for a dollar, be sure to buy it and mail it to me — I’m good for that dollar, I swear!). 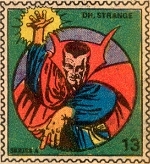 With a cover price of twelve cents, a near mint copy of Strange Tales #135 can run two hundred dollars or more! If you want to read this fine tale, you can hunt up a back issue, read a reprint, or check out a digital copy as part of a Marvel Digital Comics Unlimited Subscription! This article original appeared at StashMyComics.com. Posted on June 5, 2013, in The Dollar Box and tagged Jack Kirby, Marvel Comics, Nick Fury, S.H.I.E.L.D., Stan Lee, Strange Tales. Bookmark the permalink. 18 Comments. That … is a pretty deep dive, my friend. You have interesting dreams. 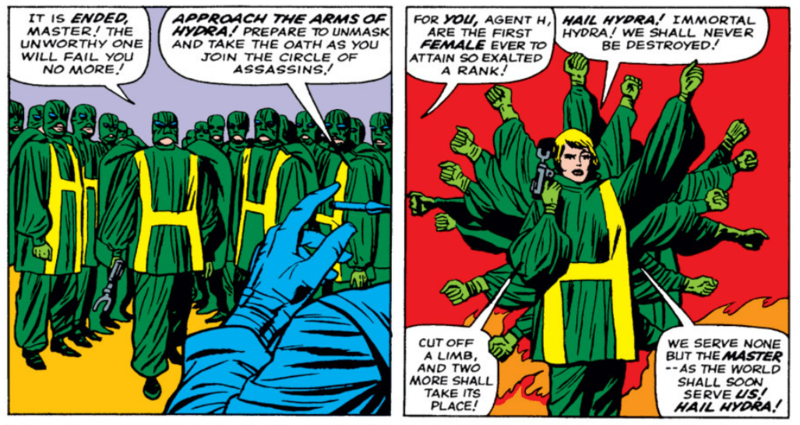 Maybe we should take it a step further, and prove that Stark has been fronting HYDRA all these years? (Cool blog, adding an RSS sub now). Luckily, I do have a comic shop about a half hour away that does have a pretty good dollar bin, though I’d be hard pressed to find this little gem there. I was never much into Nick Fury, but this does look like a groovy trip! Strange Tales in general is an overlooked Marvel book, and it was never better than when Ditko was on Doctor Strange, and Kirby on Nick Fury. Keep an eye out for them! I was watching BBCAmerica’s Doctor Who retrospective on the 3rd Doctor, Jon Pertwee, who was in the role from 1970-1974. This era of the show had a total James Bond vibe, with this time-travelling space alien racing around Britain in a sports car, with a dramatic outfit and martial arts skillzzz. Interesting that 007 was influencing pop culture all over the place. Bondmania was pervasive and a very real thing. I joke with my British friend that 1966 was the last year it was truly cool to be an Englishman — England won the World Cup, the Beatles released “Revolver,” and Sean Connery was still James Bond. Strange Tales #135 dates from 1965, the same year that Thunderball was released, and the second year Man From U.N.C,L.E. was on American TV. Stan Lee has written that U.N.C.L.E. 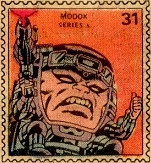 was a primary influence on S.H.I.E.L.D. (particularly in the acronym department), but there’d be no S.H.I.E.L.D. without James Bond. And now here we are, a half-century later, with a S.H.I.E.L.D. television series coming in the Fall. I wonder if Joss Whedon will include an homage to U.N.C.L.E. in that show? Seems like anything is possible in this Geeky Golden Age. 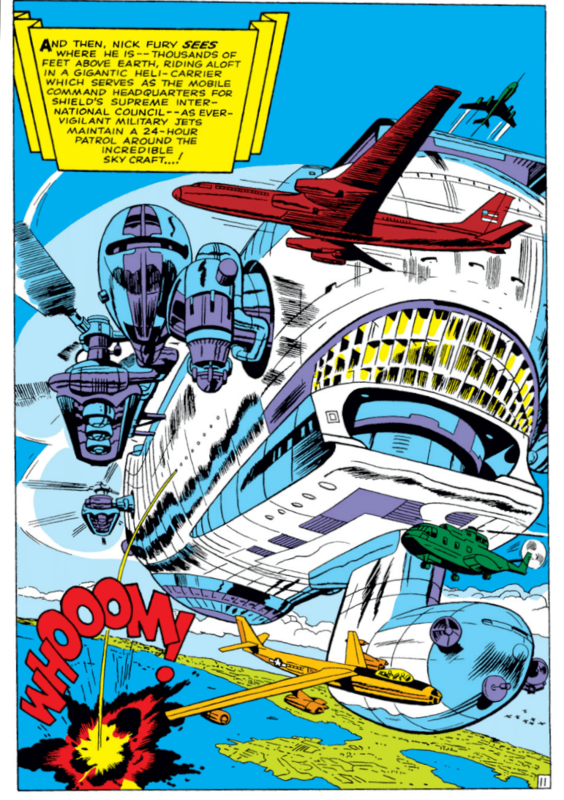 Where would you put the Helicarrier in the Pantheon of secret bases, Marvel or otherwise? I always loved the concept and I am glad they carried it over to the movie franchise, although that was pretty much a given. How could you not use the Helicarrier? First of all, this is a great subject for a Top Ten and you should expect it before the end of the year! Second, the terms “Secret Base” and “Giant/Flying” shouldn’t go together — that Nick soars around so brazenly in his secret base is appropriate, given his status as the most Manly Superhero Of Them All, but it is not especially wise. I expect the Helicarrier would make the podium of secret bases but it will be difficult to topple that bat-filled cave from the top spot.